Fun accuracy practice. Hit over water from one mat to the other! If you have any questions regarding the Aqua Golf Target Green, please give us a call, we would be happy to help you with any questions you may have. 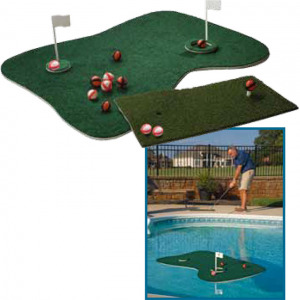 Write an online review on the Aqua Golf Target Green, and share your thoughts with others.